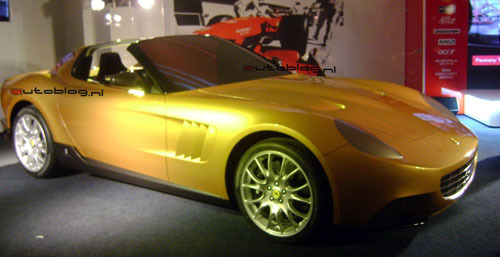 According to Dutch motoring weekly AutoWeek, Ferrari is working on at least three Special Coachbuild cars at the moment. And they are about as curious as we are. They even reward 500 euros to the first to photograph it. It’s been a while since we’ve heard of Ferrari’s coachbuilding programme ‘Portfolio’. Don’t think, however, the boys and girls in Maranello have not been working on their most prolific department. According to Dutch magazine AutoWeek, Portfolio is working on at least three cars. After Fioravanti's ‘SP1’, a one-off custom F430 that was privately and secretly launched last year, Pininfarina is working on another two 599 based one-offs, as we wrote earlier. The first, a Spyder dubbed ‘SP2’ by AutoWeek, got its inspiration from the Ferrari 330 LM 'Golden Spyder' by Fantuzzi that was used in the 1965 movie ‘Histoires Extraordinaires’. According to several other sources the car was built on behalf of the American supermarket-tycoon Rob Walton, but AutoWeek thinks differently, adding the car is waiting to be finished, while gathering dust, in Maranello at the moment, probably unsold. Photos of a full scale mock-up can be seen here. 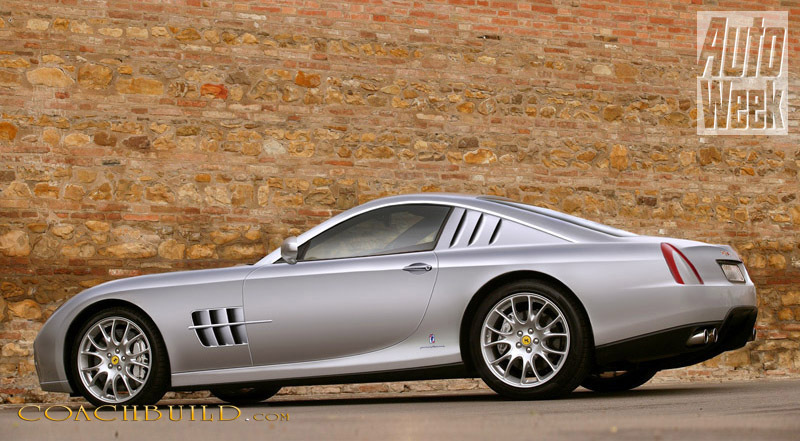 The second 599 of Pininfarina design is said to be a modern interpretation of the 410 Superamerica of the 1950’s. On behalf of the Dutch motoring weekly, Coachbuild.com’s own Michiel van den Brink made a rendering of the car with some input from a FerrariChat.com-member who had caught a glimpse of the car being pushed into a local Ferrari dealer in Turin – not coincidentally Pininfarina’s hometown. A third car is said to be built for a Saudi-Arabian customer on Ferrari FXX base. The very modern styled car should have gullwing doors and could cost around a whopping 5 million euros. Now that’s one car we’d love to see! And with help from Dutch readers – and more – it shouldn’t take too long. AutoWeek is rewarding the first person to photograph one of the portfolio cars properly, and sending them the pictures exclusively, 500 euros. It’s about time to get your camera ready and prepare yourself for a sneak preview.